10 Best PPC, an established and respected ranking organization, just announced its monthly awards to three deserving recipients from the Best AdWords PPC Management Firm industry. Companies chosen for the award have proven that they consistently deliver top quality service and results exemplified through different criteria such as client reviews and other analytical information they provide for evaluation. 10 Best PPC is excited to present to the world its newest monthly award to three deserving honorees. The top AdWords pay-per-click business is Jellyfish of Baltimore, Maryland, with Galaxy Weblinks of Boston, Massachusetts receiving the second-place honor and Powerweave of Columbia, Maryland being recognized as the third-place recipient. 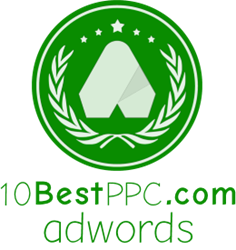 The 10 Best AdWords PPC Management Firm Award is presented to the top three companies who have excelled in the PPC industry. Each month, this prestigious award will be presented to three new recipients based on ranking factors such as analytic reviews, customer reviews and previous accolades. This month's recipients have provided value to its customers through an array of services such as PPC advertising through Google AdWords, Bing and Yahoo. Each recipient is being recognized for serving its customers at the highest levels. As the top AdWords PPC management firm, Jellyfish has guided some of the world's top companies through the maze of PPC advertising. This innovative firm's impressive client list includes Fitbit, Royal Caribbean International, Walden University, Nestle and Carfax. The professionals at Jellyfish provide services in PPC, SEO, social media strategies, creative design, email marketing and training solutions. Galaxy Weblinks is a premier technology development and services company that landed on the No. 2 spot on the list of top AdWords pay-per-click businesses. Clients of this innovative PPC management company include REMAX, Sony, Dow Jones, Columbia University and Tivo. Galaxy's services include business consultation, creative UI/UX, system integration, digital marketing, maintenance, support, web solutions and mobile apps. The primary goal of Galaxy Weblinks is to help clients incorporate technology that breaks through barriers. The PPC experts at Powerweave can take a simple idea and transform it into a profitable solution for its clients. In addition to being one of the best AdWords PPC management agencies, Powerweave provides solutions for B2B commerce, B2C commerce, e-merchandising, transaction management, analytics, publishing and marketing automation. Powerweave maximizes the advertising dollars of clients in industries such as furniture, apparel, lighting, jewelry, industrial and hospitality. Powerweave has provided services to over 200 satisfied clients globally. Headquartered in San Francisco, 10 Best PPC consists of a team of individuals with solid experience in diverse platforms, including Facebook ads, Banner ads, Twitter ads, Bing ads and Google AdWords. Each recipient was selected by the team based on qualitative and quantitative ranking factors. For more information, visit http://www.10bestPPC.com.